Mike began the practice of Aikido in 1983 for just a short time at the NY Aikikai. 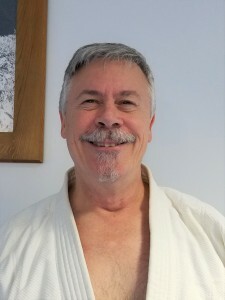 In 1991 he began training in earnest at Aikido of Nassau County. He left the practice of T’ai Chi at this time looking for human contact and thought of Aikido as partner practice to T’ai Chi. Prior to this, he studied Tae Kwon Do, both in and out of the military. His formal introduction to martial arts occurred in 1971 studying GoJu Ryu. His informal introduction to martial arts was a World War II manual, Get Tough, written by Captain William E. Fairbairn, that he found in his father’s World War II memorabilia.